Recently at the Stockholm Resilience Centre I’ve been working on update our suggested reading list for our PhD students based on recent research, critiques of various aspects of resilience, and the diversity of research in our centre’s research clusters. However, I also thought it was important to not just identify the most interesting recent papers but also to identify a set of older (>10 years old) key papers and books that could provide some of the roots of resilience research. Partly inspired by SRC researcher Wijnand Boonstra’s great initiative to produce a PhD course on the lessons from classic social science for social-ecological research, but also recognizing the shorter history of resilience research, I gave the first of several brief ‘speed talks’ to advertise some of the neglected classics of resilience research that many researchers center are not directly familiar, and explain what useful insights that could offer to them. The first key reading I suggested, was Carl J Walters, classic book 1986 Adaptive Management of Renewable Resources. Below, I describe the book and why it is a classic. I’ll follow up with some other books and papers over the next few months. Carl J Walters is a professor at University of British Columbia’s Fisheries Centre, and while he is a leading fisheries scientist, he has also worked on many non-fisheries related problems, ranging from land-use and logging in British Columbia to the complex social-ecological problems of the Florida Everglades. His 1986 book is one of the three key early texts in adaptive management. Walter’s book is practical, technical and empirical. While the other books Adaptive Environmental Assessment & Management, edited by CS Holling, and Kai Lee’s Compass & Gyroscope are respectively more diverse, and more theoretical and more focussed on social learning. While the other books are good, in many ways I think Walter’s book is the key adaptive management reference. So what is the book about? In Adaptive Management of Renewable Resources, Carl Walters motivates his approach by arguing that because the world is complex and continually evolving it is essential that resource harvesting, management & environmental policies explicitly confront uncertainty. When the book was written, his argument that management is improved by an explicit focus on uncertainty was unusual, and continues to be unusual in practice, even though adaptive management has been widely adopted in name, but often not in practice or in only an extremely shallow form that misses the deep engagement with the unknown that Walters advocates. Indeed while quantitative approaches to risk assessment and hedging have greatly expanded over the past several decades, there has not be an increase in thinking about structural uncertainty, unknown, and surprise. Finally, and indeed in many ways the main part of the book, Walters provides a diverse set of soft and hard methods for actually practicing adaptive management. So why does this book matter today? It provides a practical primer on how to think about decisions when considering there is both variation in the world and uncertainty about the rules by which the world works. Such type of thinking is at the centre of sustainability, because sustainability absolutely requires an increase in our ability to build robust strategies for navigating a turbulent world and for planning how and where to invest in monitoring or learning. While Walters barely mentions resilience in the book, such approaches are essential to the development of resilient strategies, plans, or policies. The introductory chapters, especially Chapter 3, provide really useful practical advice on how to think about and run participatory modeling workshops. Walters focuses on participatory modeling workshops but such approaches are equally useful for thinking about planning scenario or assessment workshops. The bulk of the book provides a solid, clear introduction to a set of methods for linking data and dynamic models using Bayesian statistics. These approaches quickly get quite technical and are developed primarily for a fisheries context, but for people who are trying to link models and data in a variety of situations they provide a useful toolbox. Finally, while resilience and optimization approaches can complement one another in theory they are often presented as conflicting in practice (see: Fischer et al 2009 vs. Holling & Meffe 1996). This book, clearly links optimization approaches to resilience, and demonstrates by changing what variables are the focus of optimization, optimization approaches can be useful for improving decisions about how to invest in resilience and can provide an good understanding of tradeoffs. Holling, C. S., & Meffe, G. K. (1996). Command and control and the pathology of natural resource management. Conservation Biology, 10(2), 328-337. Fischer et al (2009) Integrating resilience thinking and optimisation for conservation. TREE, 24, 549–54. The first presentation of the influential environmentalist book Limits to Growth was on March 1 in 1972 at the Smithsonian Institution in Washington DC, four decades ago. The study was both hugely influential and hugely controversial, and the authors were quite strongly attacked, often for analytical flaws that their study never said or did. However, after two followup books, and renewed discussions of peak oil (etc) & planetary boundaries, there has been an increased appreciation of Limits to Growth. We probably need to have a major societal transformation to create a good Anthropocene. For more on this, see Australian corporate environmentalist Paul Gilding‘s book Great Disruption, just is based on a similar assessment of the world – and he just gave a TED talk based on the book. Various Limits related events have been timed for this 40th anniversary. 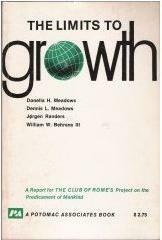 The Club of Rome and the Smithsonian Institution’s Consortium for Understanding and Sustaining a Biodiverse Planet are hosting a symposium on March 1, 2012 to celebrate the 40th anniversary of the launching of Limits to Growth, the first report to the Club of Rome published in 1972. This book was one of the earliest scholarly works to recognize that the world was fast approaching its sustainable limits. Forty years later, the planet continues to face many of the same economic, social, and environmental challenges as when the book was first published. The morning session will start at 9:00 a.m. and will focus on the lessons of Limits to Growth. The afternoon session will begin at 1:45 p.m. and will address the difficult challenges of preserving biodiversity, adjusting to a changing climate, and solving the societal issues now facing the planet. The symposium will end with a thought-provoking panel discussion among the speakers on future steps for building a sustainable planet. The meeting will be live-streamed and video archived on the internet at Perspectives on Limits to Growth. Second, coinciding with the with anniversary is the release an interesting report Life beyond Growth 2012. Alan AtKisson, author of Believing Cassandra and colleague of many limits authors, wrote the report for the Japanese Institute for Studies in Happiness, Economy, and Society. Life Beyond Growth is the product of a year of research and reflection, during which the world experienced tumultuous changes, ranging from the Arab Spring to the Great East Japan Earthquake to the “Occupy” movement to the near-meltdown of the Eurozone. Despite all the economic and political turmoil, a revolution in economic thought continued to gain steam. From “Green Economy” to “Gross National Happiness” to the more radical notion of “De-growth,” governments around the world have continued to explore new ways to frame, and measure, the idea of national progress. Most recently, the United Nations has formally joined the dialogue, with its own high-level panel calling for “new ways to measure progress” in advance of the Rio+20 global summit. … provides an overview of the global governance challenges that follow from this notion of multiple, interacting and possibly non-linear ‘planetary boundaries’. Here we discuss four interrelated global environmental governance challenges, as well as some possible ways to address them. The four identified challenges are related to, first, the interplay between Earth system science and global policies, and the implications of differences in risk perceptions in defining these boundaries; second, the capacity of international institutions to deal with individual ‘planetary boundaries’, as well as interactions between them; third, the role of international organizations in dealing with ‘planetary boundaries’ interactions; and fourth, the role of global governance in framing social–ecological innovations. Nuu-chah-nulth Canoe Steaming video from Tofino, British Columbia shows the reinvention of historic canoe making, both as political symbol and for cultural tourism. Nuu-chah-nulth Canoe Steaming, by Jacqueline Windh a Tofino based writer and photographer. She made the video of master Nuu-chah-nulth canoe carvers Joe and Carl Martin steam a dugout canoe on Chestermans Beach, Tofino, Vancouver Island, British Columbia. For more on the canoe see a travel article written by Jacqueline Windh. I’d like to know the story of how a group of German apprentices (the folks in black/white clothes + hats) ended up helping out, and whether it represents a collaboration. Is a Good Anthropocene Possible? Will Steffen and I gave contrasting talks in a Mock Court on the meaning of the Anthropocene at the 3rd Nobel Laureate Symposium on Global Sustainability in Stockholm. The talks are now online, along with other talks from the symposium (I recommend Frances Westley‘s on innovation). Humanity has pushed the Earth out of the Holocene epoch. Humanity is at risk of pushing the planet across catastrophic tipping points. Humanity can prosper, in the Anthropocene, within the safe operating space of planetary boundaries (within the intrinsic boundaries of the Earth System). I accepted Will’s case on the first, but argued against 2&3 and for 4. The jury of Nobel Laureate ruled. Humanity is at risk of pushing the planet across catastrophic tipping points. Lack of evidence. The key sticking point here was the word “catastrophic”. 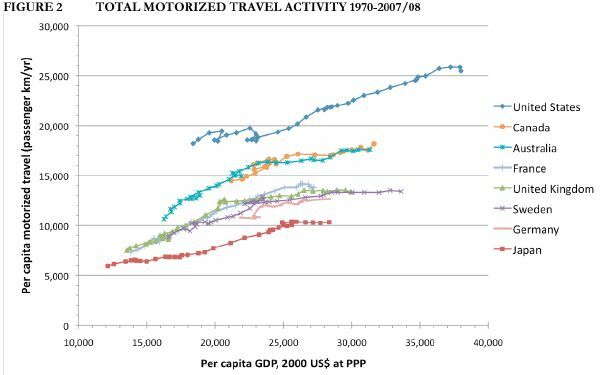 A new paper in Transport Reviews by Adam Millard-Ball and Lee Schipper asks Are We Reaching Peak Travel? Trends in Passenger Transport in Eight Industrialized Countries. Ball and Schipper looked at data from 1970-2008 in the United States, Canada, Sweden, France, Germany, the United Kingdom, Japan and Australia. They show that increases in passenger activity have driven energy use in transport, because growths in activity have swamped increases in efficiency. But the relationship between travel and GDP changed during the last decade. Previously increases in GDP lead to increases in travel, but in the last decade travel seems to have plateaued, and this halting of growth does not appear to be due to increases in gas prices. This is shown in Figure 2 in their paper. One of the challenges in planning for the future is anticipating inflection points in ongoing trends. This paper could have made this point stronger if they compared predicted vehicle use against actual vehicle use, but that was not their main point. As with total travel activity, the recent decline in car and light truck use is difficult to attribute solely to higher fuel prices, as it is far in excess of what recent estimates of fuel price elasticities would suggest. For example, Hughes et al. (2006) estimate the short-run fuel price elasticity in the U.S. to range from -0.034 to -0.077, which corresponds to a reduction in fuel consumption by just over 1% in response to the 15% increase in gasoline prices between 2007 and 2008. In reality, per capita energy use for light-duty vehicles fell by 4.3% over this period. …[in these countries transportation sector] the major factor behind increasing energy use and CO2 emissions since the 1970s – activity – has ceased its rise, at least for the time being. Should this plateau continue, it is possible that accelerated decline in the energy intensity of car travel, some shifts back to rail and bus modes, and at least somewhat less carbon per unit of energy might leave absolute levels of emissions in 2020 or 2030 lower than today. Social network structure matters for adaptive capacity. A key position are 'scale-crossing brokers' that link actors interacting with ecosystem processes at different ecological scales. Henrik Ernstson, Stephan Barthel, Erik Andersson and Sara T. Borgström, Ecology and Society 2010: 15 (4), 28. The article synthesizes empirical studies of urban ecological management in Stockholm. However, it also contributes to the theoretical discussions on adaptive governance of social-ecological systems (e.g. special issue in Global Environmental Change, Folke et al. 2005, Duit and Galaz, 2008). As such, the article is of interest for studies in marine, forest and agricultural systems. Here I present some key theoretical ideas. (See also blog at Stockholm Resilience Centre.). The article builds a theoretical framework that links ecological processes to social network structures to assess the adaptive capacity of ecosystem governance. In effect, the article pushes present theorizations in at least three aspects: 1) spatial complexity, 2) the role of social network structure, and 3) how to handle cross-scale interactions. First, it builds a framework to more explicitly account for spatial complexity (and thus the complexity of the ‘resource’ in question). This is primarily done through empirically focus on the ecological processes of seed-dispersal and pollination, which are processes important for the re-generation and resilience of local ecosystems in the fragmented urban landscape of Stockholm. Second, the paper ‘looks’ beyond individual actors and their direct ties to others (often the case in the literature on for instance ‘bridging organizations’). Instead, actors that interact with ecological processes are seen as embedded in patterns of communication and social relations. This means that the paper acknowledges ‘social network structure’ and how this intermediate variable (not individual, not institution) mediates the agency of single actors, and the performance of the whole network to respond to change. To capture social dynamics we take the idea from sociology that, just as ecological patches are part of greater scale patterns, social actors are part of emergent social network structures that constrain and shape social dynamics (Wasserman and Faust 1994). […] social network patterns are consequently an outcome of localized interactions between pairs of actors, and no actor can fully control the emergent structure. 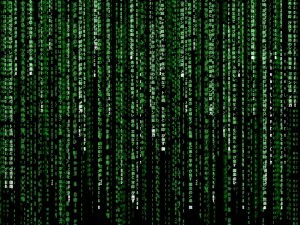 [This] allows for human agency, but an agency constrained and mediated through the network structure itself (Emirbayer and Goodwin 1994). Thus, by accounting for the structure of social networks between actor groups, and how they link to ecological scales, our resulting model consists of actor groups interacting both with each other and with ecosystem processes at different spatial scales, and at spatially separate sites [see figure at top]. A final central aspect of our model is the network position of scale-crossing broker [which is defined] as a social network position that links otherwise disconnected social actor groups which, through their social practices, interact with ecosystem processes at different ecological (and spatial) scales and at different physical sites. 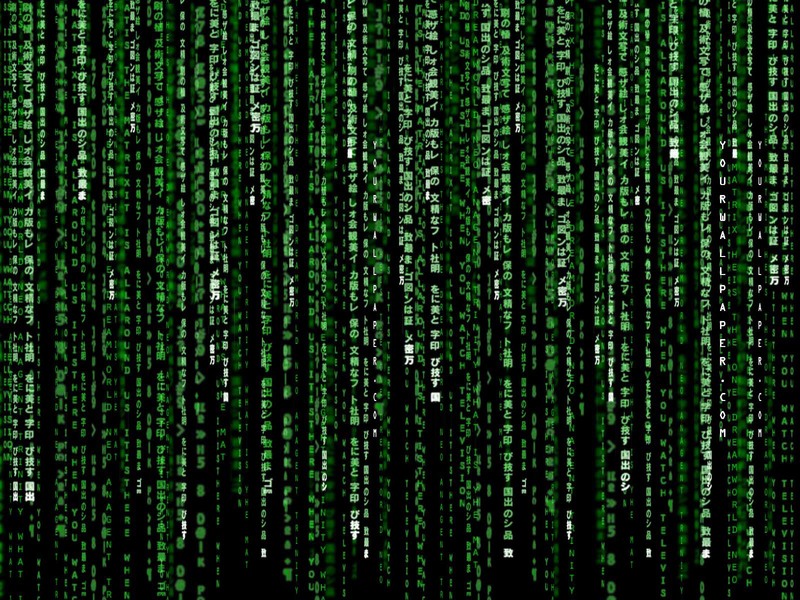 Scale-crossing brokers can be seen as agents for nurturing the emergence of a purposeful social network structure, and for switching between a centralized collective action mode and a decentralized mode of social learning among a diverse set of local autonomous actor groups. As such, the scale-crossing broker becomes an analytical lens to use when assessing empirical governance systems. Upcoming research should thus aim to measure the extent to which you can find scale-crossing brokers in a particular system. Another such assessment tool lies in our conceptualization of a meso-scale in governance in the form of ‘city-scale green networks’ (see figure below). In conclusion, and apart from its empirical findings not touched upon in this blog, the paper can be seen as bringing new theoretical ideas on how to discuss and analyze social-ecological complexity and adaptive capacity. For more information see the paper itself, the blog-post at Stockholm Resilience Centre, or my own blog In Rhizomia. The article is part of a special issue in Ecology and Society on social network analysis and natural resource management. Fig. 4. 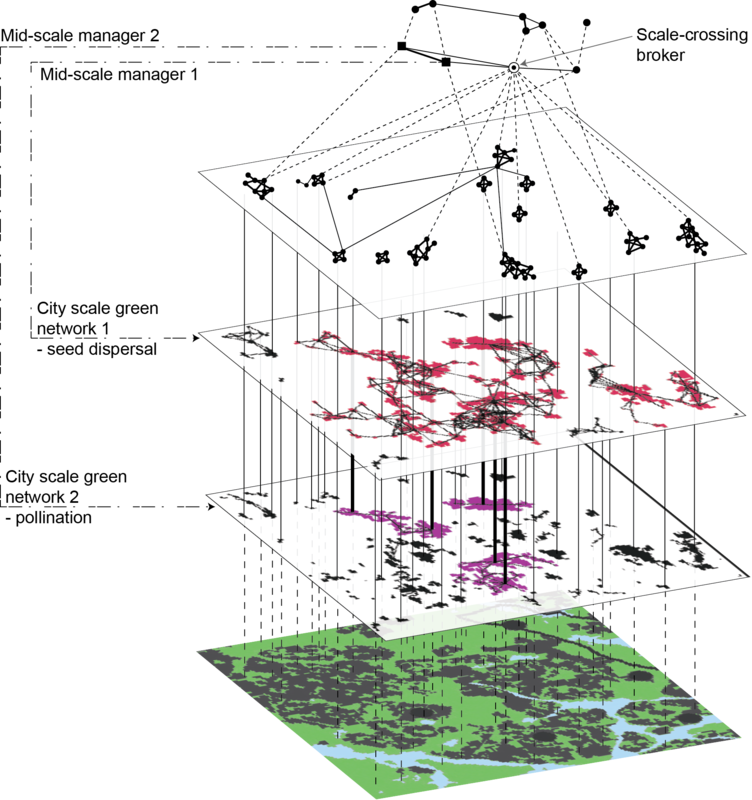 The figure demonstrates how one could identify the city scale green networks of pollination and seed dispersal in a particular area of Stockholm (suggested here by using digital mapping and ecological network analysis (cf. Andersson and Bodin 2008)). Note how certain local green areas are shared between the two city scale green networks, which give rise to network overlap (purple areas with bold vertical lines in city scale green network 2). Furthermore, it is suggested that midscale managers can take responsibility for particular city scale green networks. Taken as a whole, the figure demonstrates how particular ecosystem services can be viewed as embedded both in the physical landscape and within social networks of local actor groups (managing local green areas), scale-crossing brokers, and municipal to regional actors.